Young children probably won’t report a vision problem to mum or dad. That’s because they assume their vision is normal. So, as parents, we need to be on the look-out for tell-tale signs that something might be up: watery or red eyes; frequent blinking, rubbing or squinting; and complaints about a sore head. What might be wrong with your child’s vision? Myopia – or near-sightedness – is when a child can’t see objects in the distance clearly, while those up close are clear. Symptoms might include squinting or eye rubbing – or sitting close to the TV. In Australia, the rate of myopia has more than doubled since the 1970s. Large-scale population studies suggest this rapid increase is related to the greater amount of time kids are spending indoors watching TV or playing with electronic devices. They are missing out on the vital daylight that is needed as the eye is developing. Professor Kathryn Rose from Sydney’s University of Technology says, “studies suggest (children) need about 10 to 15 hours a week outdoors – that’s about two to three hours per day outside school time.” The most common treatment is with glasses, or refractive surgery for adults. More commonly known as far-sightedness, this vision problem is when a child can see objects in the distance clearly, while those up close are not clear. A young child may show signs of hyperopia by squinting or rubbing his or her eyes. The condition occurs when the eyeball is too short, or when the cornea or lens are abnormally shaped. Vision can usually be corrected with glasses. If the cornea (the ‘window’ at the front of the eye) is not curved evenly, it will cause uneven blurring or distorted vision at all distances. 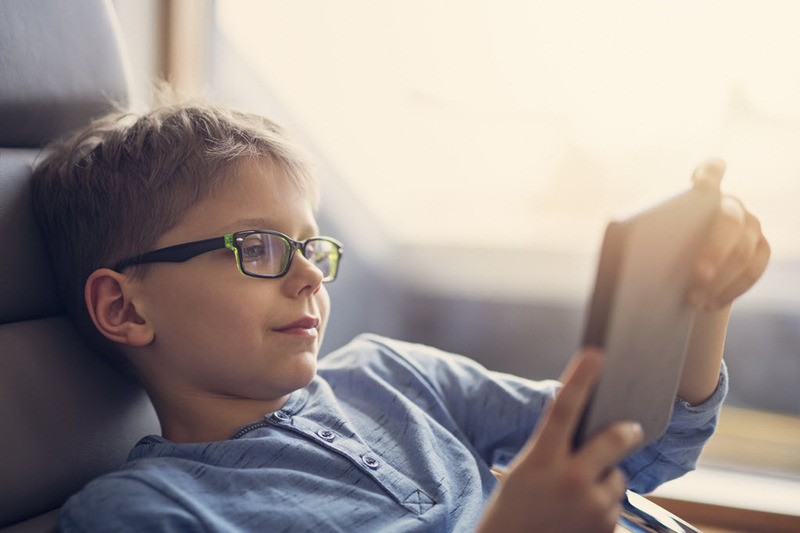 Kids with this condition are likely to have headaches, tire easily and find it difficult to concentrate because their eyes are constantly trying to focus without success. Vision can be corrected with glasses, but there may still be difficulties in judging distance. your child is unwell or you have any other concerns. A chalazion is commonly called a stye – but technically the two are different. A chalazion is a swollen bump on the eyelid, while a stye grows at the base of the eyelid (and is caused by a bacterial infection). A stye is really painful, but a chalazion is just a big lump that isn’t painful. Both conditions can usually be treated at home with a warm washer held against the eyelid for a few minutes, up to 20 times per day. Usually most lumps will expand and release the contents. If that doesn’t happen (or the lump continues to enlarge or becomes more painful) you need to seek advice. Our eyesight is precious and should be protected. If you have any concerns about your children’s vision or eye health, see your doctor or optometrist. Like it? Share with your friends.